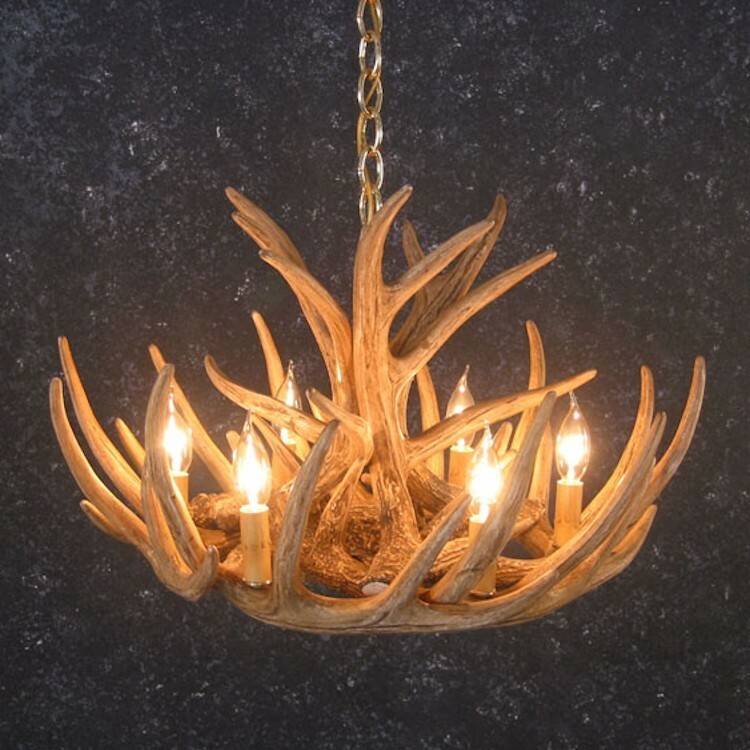 The Woodland 9 Antler Chandelier features reproduction whitetail deer antlers. Made from lightweight polyethylene the faux antlers are hand finished for a realistic look. Antlers are clustered together and more tines are visible in this rustic design. The Woodland 9 Antler Chandelier features reproduction whitetail deer antlers. Made from lightweight polyethylene the faux antlers are hand finished for a realistic look.Antlers are clustered together and more tines are visible in this rustic design.